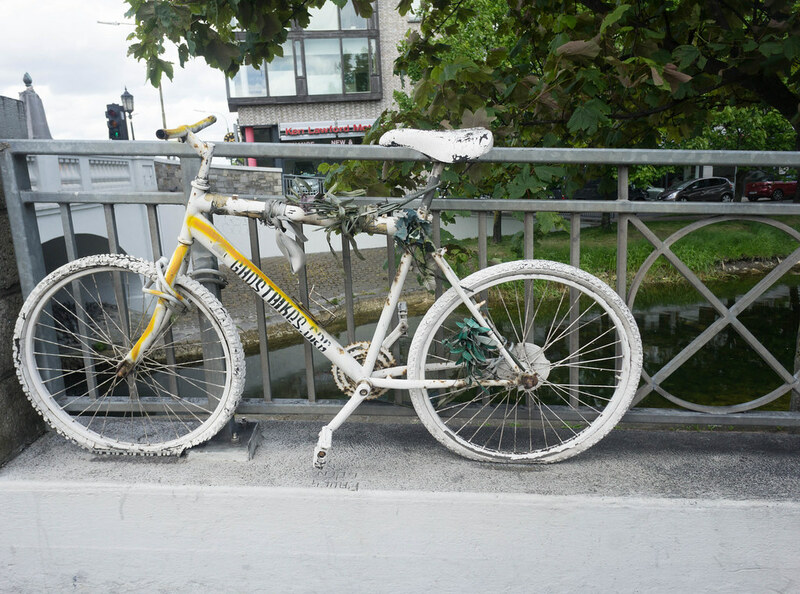 JUNE 14 2016: "A ghost bicycle in memory of a cyclist killed in 2009 beside the Robert Emmet Bridge at Harold’s Cross in Dublin was removed today under a council scheme to tackle abandoned bicycles." On 14 January 2009 Paul / Zu Zhang Wong was killed in a road traffic collision with a heavy goods vehicle. Paul, a Chinese national living in Dublin, was cycling to work. He was cycling straight at the junction at Harold's Cross Bridge and was hit by the cement truck which was turning left. A Ghostbike was placed at the scene of the collision exactly one month later.